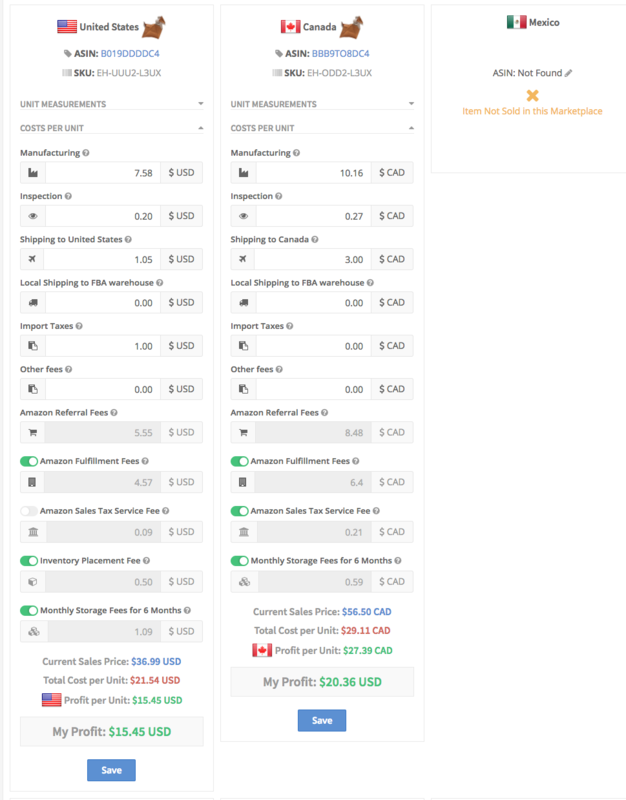 This is a comparison review of the three popular profit dashboard tools for Amazon sellers - Sellics, CashCowPro and Shopkeeper. 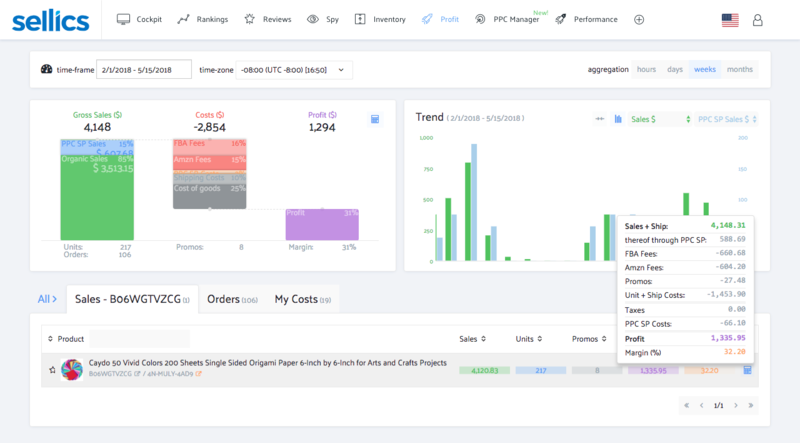 Sellics and CashCowPro provide multiple features, like Keyword Research, PPC Manager, A/B Testing etc - but this article will focus solely on their profit dashboards. 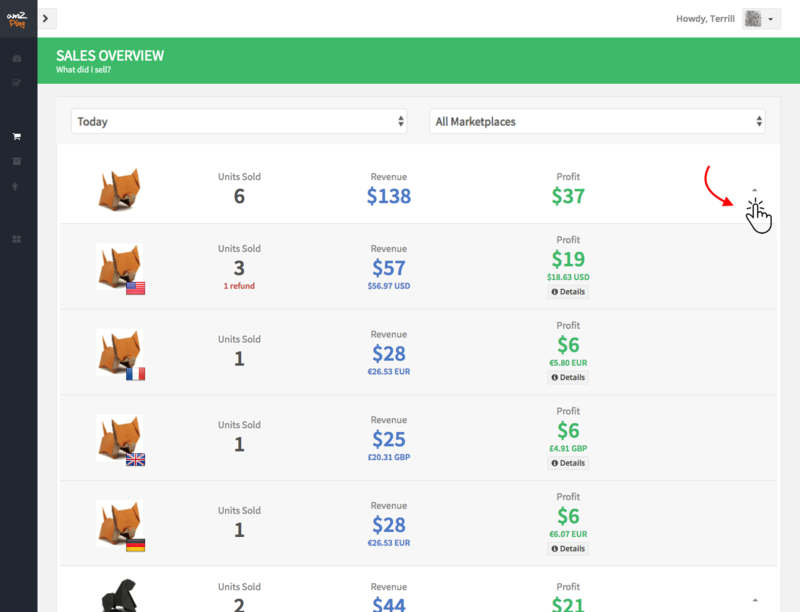 Sellics team are working on Profit Dashboard 2, which will include Refunds, Miscellaneous Business Expenses and Merchant-Fulfilled Shipping Costs. For now, they have very limited expenses that their Profit Dashboard is tracking. CashCowPro's future plans for more features have not been anounced. But surely they've been receiving a lot of requests to add them, so I can expect they will eventually do it. 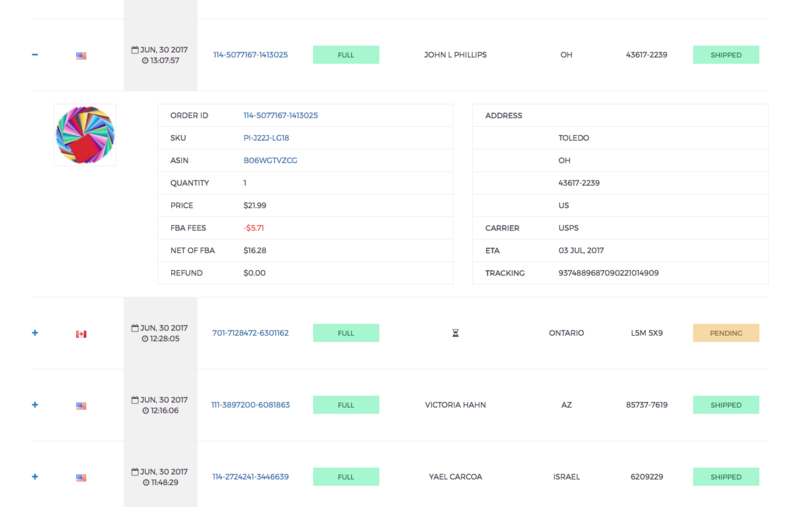 Shopkeeper is now working on adding Miscellaneous Business Expenses and other Amazon fees, like Lightning Deals Fee and Early Bird Reviewer Program fee. None of the three software tools have all expenses covered fully at the moment, so you will have to compromise on those, depending what's more important to you. 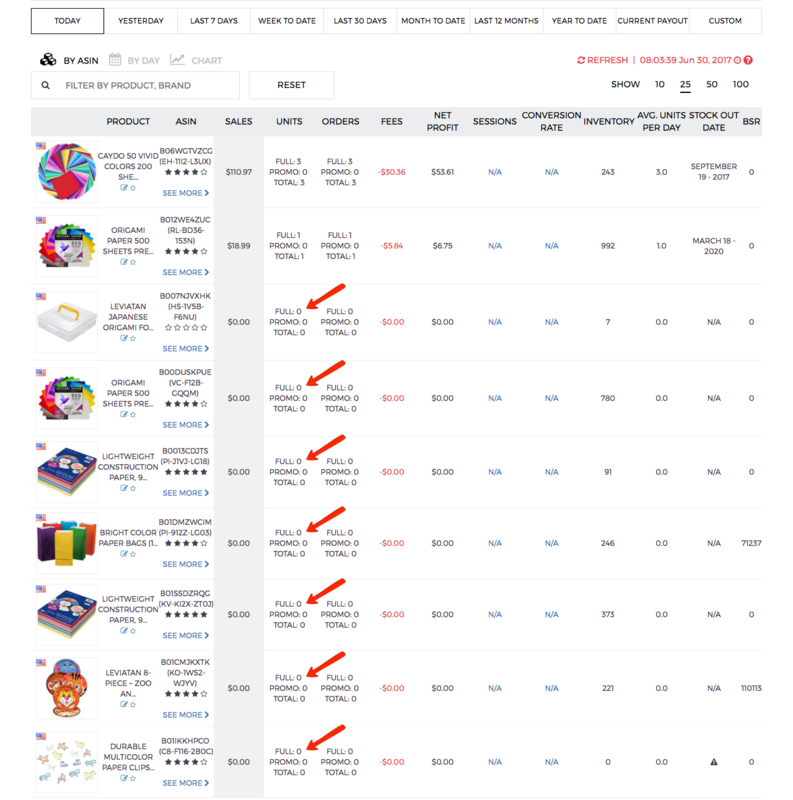 Sellics does not have an aggregated view where the stats from all marketplaces would be combined - you will see data separately for each country. They are working on making this feature available, but there is no Estimated Date of when this will be live. CashCowPro has an option to combine the stats for USA, Canada, Mexico, UK, Germany, France, Italy and Spain into one number. They don't release many updates, so I am thinking the other countries will not be added soon. 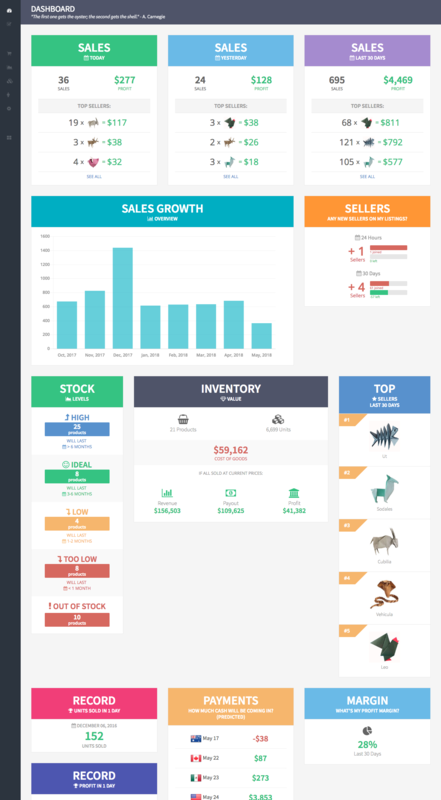 Stats from all marketplaces are summed up into one number in Shopkeeper. You can also view each country stats separately. It's all converted to the currency of your choice. Shopkeeper is the only one that supports Amazon Japan, Australia and India at the moment. Sellics shows and counts promos that are not created by me as a seller, but created for the buyer by Amazon. For example, shipping promos. They are counted and displayed in the app as well, even though I did not create it. 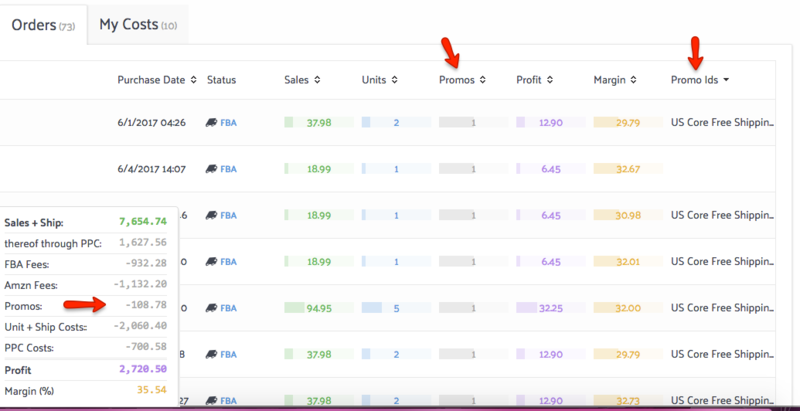 This promo value is then added to my revenue and then subtracted from it. So the revenue numbers become inflated. 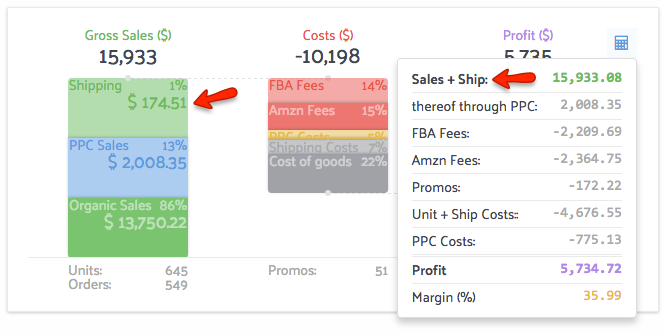 I am an FBA seller, so I don't ship the products myself - Amazon manages the shipping - but in Sellics I still see Shipping included in my Revenue and later subtracted from the Revenue as Promos. Ideally, I would like to not see this extra revenue at all. Sellics historical data is limited, so you will not be able to see your sales from one year ago, if you only started using Sellics today. 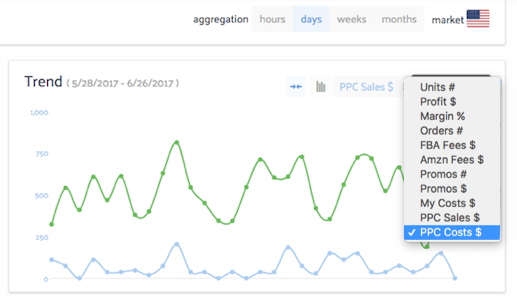 They pull only 1 month of historical data for Profit Dashboard. 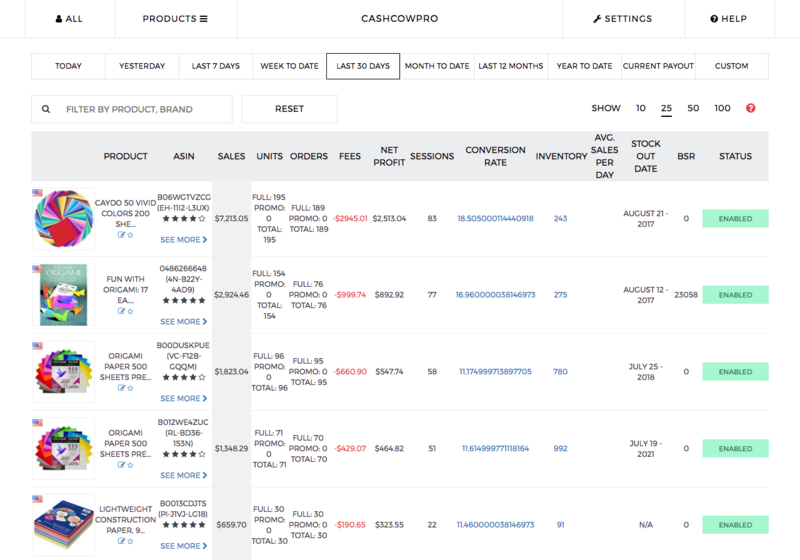 When I select TODAY to see what I sold, CashCowPro lists all products even if there were no sales. I would prefer not to see all those zero rows. 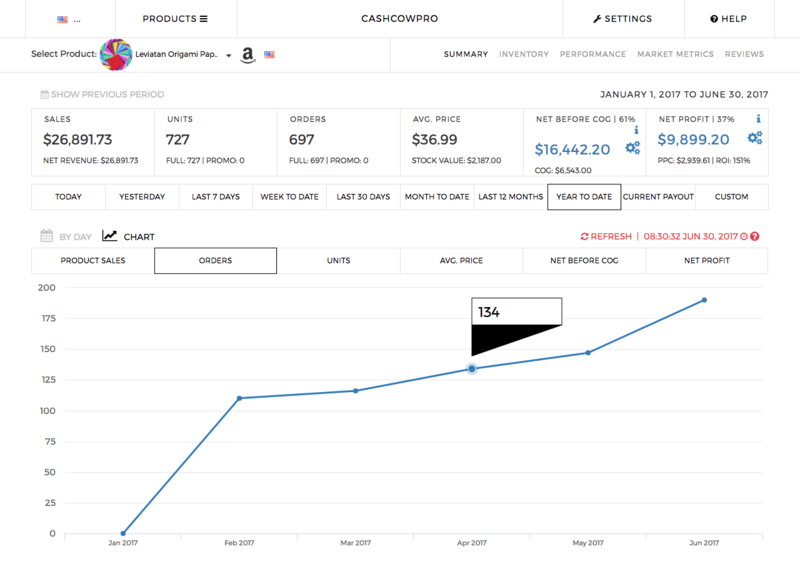 CashCowPro's breakdown by product does not sum up sales from all Amazon marketplaces, like it does in the Dashboard. I can only see product trends for a specific country. I wish to be able to see how one product has been doing across all marketplaces. 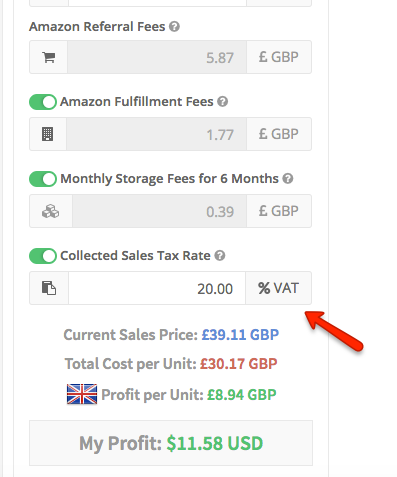 The only way to enter product costs like manufacturing and shipping is manually, bulk upload can only be done by emailing support - there is no self serve option yet. Sellics was designed for desktop use only, and on mobile it simply shrinks to fit the size of the screen. Font becomes super tiny and is hard to read. Navigating is hard, but with some zooming and side scrolling it can still be used. CashCowPro was also designed for desktop use only. You will still be able to see your data, but it will not be easy to select those tiny little buttons and links. Shopkeeper was designed to show a special modified view for mobile, so you will see your data easily without any zooming or side-scrolling. Sellics pricing is based on your yearly revenue. So if you're doing 60k (which, assuming a 40% margin, is $2,000 profit a month) - you will pay $97. It can quickly get costly if your products are priced high or your margins are low. Sellics pricing is more suitable for private label sellers. 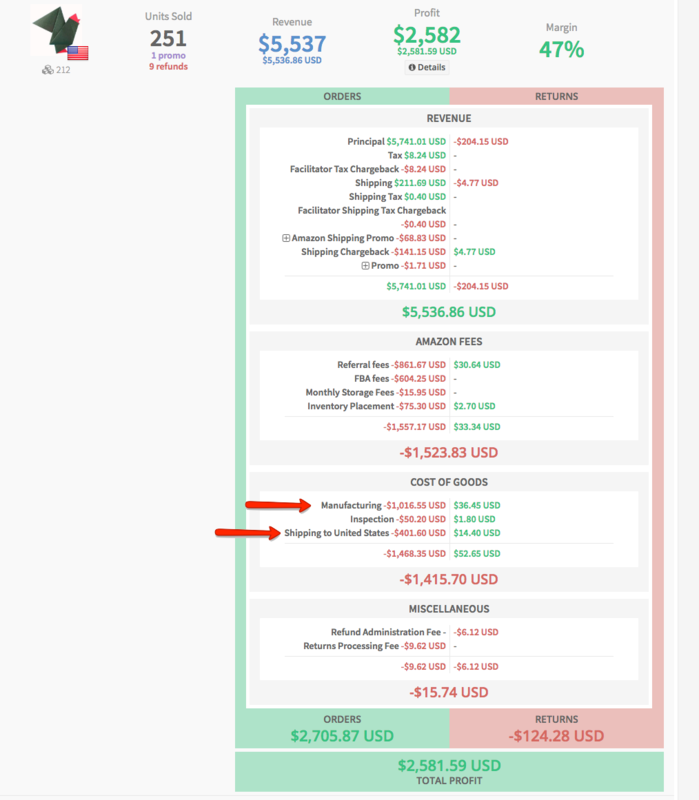 If you're an arbitrager or a wholesaler and your margins are slim, you may find it expensive. CashCowPro used to be only $30, but they have recently raised their prices to 50$ per month. It's a flat rate, and is still a great deal - considering all additional features that are included. 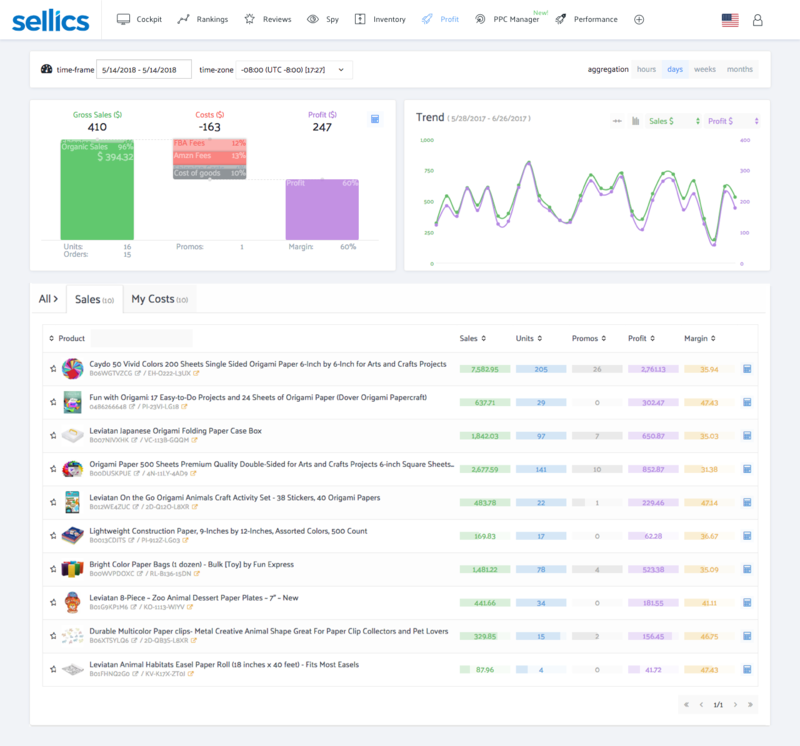 If it's enough for you to know approximate profitability, you don't need exact figures and you would like to get additional features like PPC Manager or Ranking Tracker - you will choose Sellics. 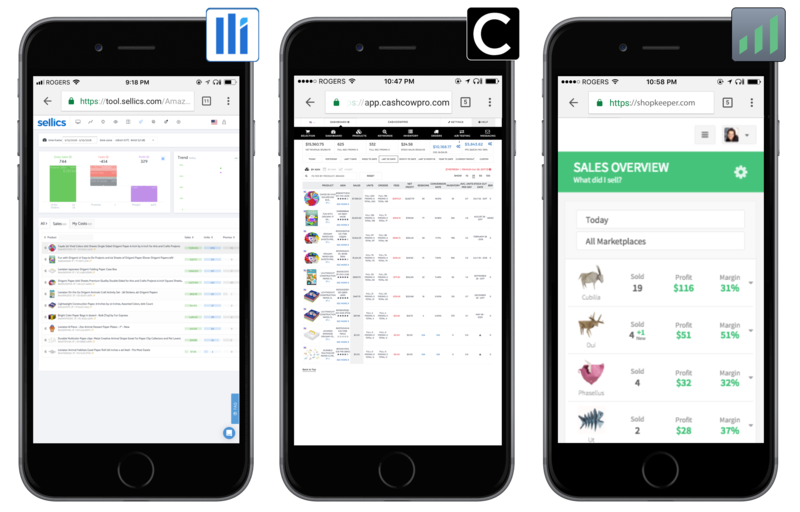 If you'd like to have many useful features in the same app, like A/B Testing, Product Research and a pretty good Profit Dashboard - you will choose CashCowPro. 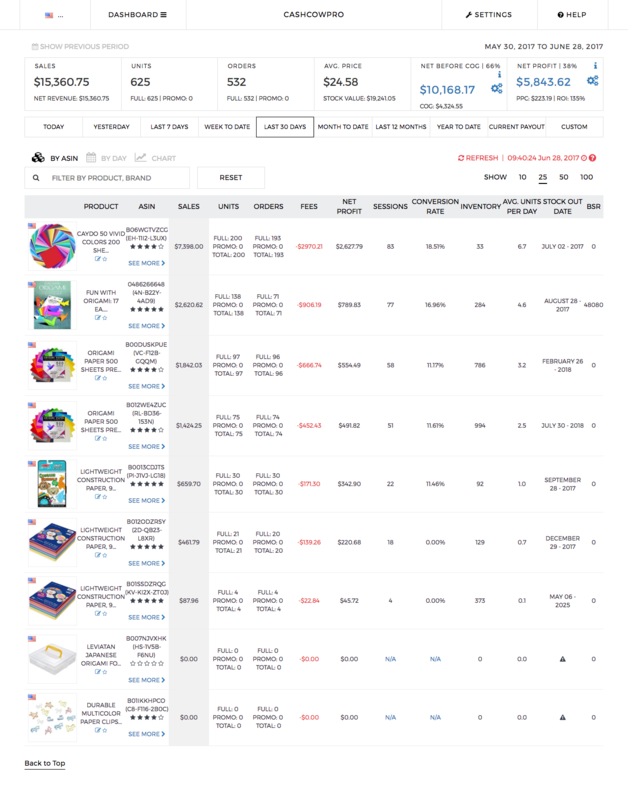 If you sell on multiple marketplaces (especially on Japan or India), and want to have more accurate numbers for profitability - you will go with Shopkeeper.